Are you one of those people who degrades yourself in idle conversation until it becomes a fact within your mind? Has it become your belief that this is true humility, talking down your abilities, hiding your light, refusing to accept your rights as a child of God as being meek and humble? This thing called life is given to us for a purpose, never to downgrade; no more than we should blow it out of proportion by thinking too highly of ourselves. Human beings worry a great deal about what others think. It is a nagging worry that somehow the curtain that protects our privacy from the eyes of the world will suddenly drop and allow us to see all the things our pride has hidden. Why is it that we seemingly need to be clever in order to handle the world? Why can’t we just live honestly and openly, without scheming and trying to appear that we are something we are not? The world is so heavy laden with priggish pride that the clean simple truth is lost in playing it cool. Why can’t we quit being something pent up inside and be something like sunshine or showers right out here where we can enjoy it or get over it? Socrates said that the shortest and surest way to live with honor in the world is to be in reality what we would appear to be. And we may just as well, because if there isn’t a good cake under all that frosting, someone is going to know it anyway. To drop all pretense and say with genuine honesty, “This is the way I am” would be to find a whole new way of enjoying the simplicity of being ourselves. Think for yourself. Stop living by tradition that promises you the moon and gives you a rock to carry. Think things through – if one way looks easier than another, take the bolder way. Don’t think what it is going to get you but what it is going to build in you. Some things feed the body and some the spirit. Go with the spirit – it already knows what you need to know. Care about other people, not about what they think of you. Focus on doing what’s right, not on proving you’re right. Let happiness be the fuel for your actions all along the way, rather than just a reward at the end. Allow joy to flow out from you instead of expecting it to be given to you. Create value out of what you have instead of making excuses out of what you lack. Set your goals high but not so high that you fail to act. Be dependable and reliable without being tedious and predictable. Live fully in the moment today while working to create an even better tomorrow. Expect the very best while gracefully accepting and dealing with whatever life brings. Think before you act, but don’t let thinking take the place of actions. Sing your own special song in harmony with all the other songs being sung. Make each moment you inhabit the best for all who are there. Anyone who’s been a part of the Wiccan or Neo-Wiccan communities for more than a week is undoubtedly aware of the schism between these two groups. The cause of much frustration for Wiccans is that some Neo-Wiccans misunderstand the distinction made between the practices. Wiccans contend that, while there is nothing wrong or bad or invalid or worthless about the practices of Neo-Wiccans, it is nonetheless a separate and distinct practice (or practices, as Neo-Wicca is Eclectic, after all) from Wicca; neither is better (except in a personal preference, subjective sense), but they are certainly different. Many Neo-Wiccans, on the other hand, dislike that this distinction is made at all. Some are even offended by the use of “Neo-Wicca” or any classification other than “Wicca, ” but are yet very adamant that “we don’t do that, ” meaning that they find some aspects of Wicca ridiculous, unnecessary, or even offensive. It leads one to ask, if it’s all the same thing, then why isn’t it all… well, the same? This piece is meant to serve as an outline of how much these two groupings of paths really do differ, and to explain some of the more controversial aspects of Wicca that draw much negative attention and criticism from some Neo-Wiccans. The biggest dividing factor, that then encompasses others, is the Wiccan practice of oathbound secrecy. Many Wiccan Traditions are esoteric, oathbound practices. This means that there are certain things that are not to be revealed to non-initiates, and that initiates swear an oath to protect those aspects (an oath that they are then expected to keep for the rest of their lives, even if they choose to leave the Tradition at a later time). This is not meant to be used as an ego-trip or a form of elitism, but is instead in place to protect the experience of the Tradition and its rites and Mysteries. However, Wiccans do not contend that their path is the only way one may reach and experience the Mysteries, just that this is the way that suits them. What is usually kept secret, then, are the names of the Gods, the specifics of ritual, the identities (Magickal and mundane) of those who participate in the rituals, the tools used in ritual, and any other non-ritual contents of the Tradition’s Book of Shadows. God-names are kept secret because They (the God and Goddess honored) are considered “tribal, ” wholly unique to the Tradition. In non-initiate training rituals, a Priest and Priestess may choose to utilize place-holder names of similar Deities, ones with compatible traits, qualities, and associations. However, some may choose to simply use the non-specific terms “God and Goddess” or “Lord and Lady” instead of proper names. That decision is left up to the Priest and Priestess of the ritual/group. If place-holder names are used, they are then a tool to help teach those in training about the God and Goddess they will meet and commune with during and after initiation, so that there will be some degree of familiarity once the initiate comes to face the Gods of their chosen Tradition. The specifics of ritual, as was aforementioned, are not told to non-initiates to protect the experience. Think of it this way; you and a friend both want to see a newly premiered movie, and your friend gets the opportunity to attend a showing before you do. How impolite and improper would it be for your friend to not only tell you every single detail of the film (including the ending), but also the emotions it will evoke from you, and the impact it would have on your life in general? I’m betting anyone would be pretty darn upset. This is the same reasoning behind Wiccan rituals being kept secret, so that each initiate who experiences them does so as “untainted” as possible. This explains secrecy in regards to those seeking initiation, but for those who do not, a similar analogy is appropriate; if you see a movie but your friend has absolutely no interest in it, regardless of your opinion of said movie, they probably won’t want to hear about it at all. The logic then is that, since those not seeking initiation are assumed to be uninterested in the Tradition all together, what reason do they have to concern themselves with its practices? Additionally, this secrecy maintains the authenticity of the rituals, and also the integrity of the initiating line back to the Tradition’s founder. Thus, the rituals cannot be altered or misused, and only those experienced in the Tradition’s Mysteries can go on to teach them to others. As far as participants’ identities go, that’s fairly self-explanatory on one level; “outing” someone as a Witch is not something taken lightly, regardless of where one counts one’s self on the spectrum Wicca has become. But there is another level to it, in that Wiccans tend keep their lineage oathbound as well. One’s lineage is the line of initiating High Priestesses that leads from one initiate back to the founder of the Tradition, be they Gerald Gardner, Alex Sanders, etc. 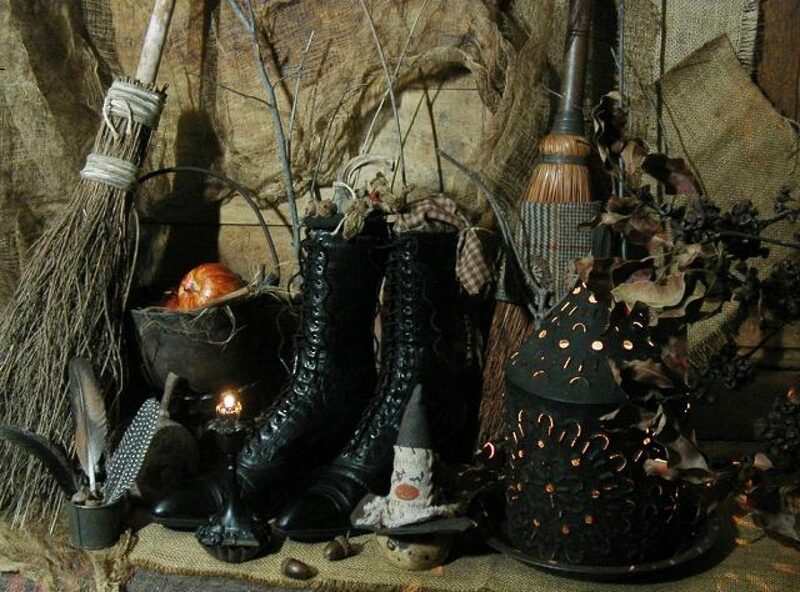 And lastly, the tools used and the other, non-ritual contents of the Book of Shadows (BoS) are oathbound because they are related to the specifics of Wiccan practice and experience, and so revealing them can take away from those elements, just as describing pivotal scenes from a movie can taint the enjoyment of the whole thing. These levels of secrecy and occultism (where “occult” takes on its more accurate meaning of “hidden or secret; to be known only by the initiated”) are a stumbling block to some Neo-Wiccans; they cannot fathom the reasons other than to make Wiccans feel special or better somehow, but as illustrated above, there are very real and important reasons. Some folks though cannot find it in themselves to abide by these guidelines, but still feel the desire to walk a similar path. Partly because of this, Neo-Wicca and its policy of openness and universality were born. Neo-Wiccans are free to follow any and all God forms that may call or appeal to them, regardless of cultural or religious origin. Neo-Wiccans are also more prone to share their ritual scripts and spells with others. Some even post the entirety of their BoSs online or otherwise make it available for public consumption, such as through published books, which then are a large part of Neo-Wiccan learning materials. Conversely, learning Wicca involves a specified path that utilizes the repetition of form to facilitate function; the actual movements and words are the same at each ritual, however it is the experience that differs and is truly the most important. This is an orthopraxic approach, that of correct practices leading to Divine experience, rather than orthodoxic, that of correct belief. While many of us have come to associate “orthodox” with meaning oppressive or outdated and referring specifically to Christianity as often as not, if one simply takes the word at its face value, then Neo-Wicca is in fact an orthodox practice; as long as one believes the “right” things, then one is Neo-Wiccan and then can practice it in whatever fashion one desires. But what are the “right” beliefs? Is it the duality and balance of God and Goddess? Not according to those called Dianic Wiccans, who hold the Goddess superior to the God, if He is even recognized at all. Additionally, as stated before, Wiccan God names are specific to each Tradition and oathbound, so by default Neo-Wiccans do not and cannot honor the God and Goddess by those same identities, so neither does “right belief“ include the specific Deity forms. Is it then following the Wiccan Rede? That’s not it either, since there are practitioners out there who discard the Rede all together and still lay claim to the “Wiccan title” (and yes, I’m aware that “rede” means “counsel or advice” and not “commandment, ” but I’ve yet to encounter a Wiccan who thinks its irrelevant). What about celebrating the Sabbats? Well, okay, almost anyone along the Wicca/Neo-Wicca spectrum can agree that these eight points of the year are important, but what’s not agreed on is how one celebrates them, or even what they’re called (as far as I can tell, only Samhain, Yule, and Beltane are universally used names, the rest can vary). In some cases, the dates are even in dispute, since there are those who figure the Greater Sabbats relative to the Lesser Sabbats each year, marking them as the precise midpoints between the astronomical Solstices and Equinoxes rather than the “fixed” dates of the common calendar. This final point segues nicely into another striking difference, that of ritual form and elements. Not all Neo-Wiccans cast a Circle in the same way nor include all the same components as others (in some cases, even the rituals for the same event differ each time they are performed) , and being that Wiccan ritual structure is oathbound, one can infer that Neo-Wiccan rituals bear little, if any, resemblance to their Traditional counterparts. If Wicca and Neo-Wicca was indeed the same thing, wouldn’t we all use the same rituals, honoring the same God forms in the same ways? I can agree to a certain extent; the Wiccan Gods are responsible, to a degree, for Wicca’s existence, in that They provided the original inspiration, need, and desire for a way to honor Them. However, I also believe They intended for things to be done in just that way, else why would They have put the idea in a human mind? Why the need for rituals at all, if any way one honors them is acceptable? 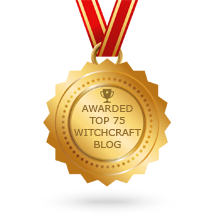 Let me clarify – when I say “the Wiccan Gods, ” I mean those names, faces, forms, aspects, and attributes that are oathbound and specific to the Traditions of Wicca. If Gods other than those have different desires and requirements, then so be it, but then They are not the Gods of Wicca, and therefore need not be honored in the Wiccan way. The Wiccan way is one practiced by humans to reach out to and commune with the Wiccan Gods, and therefore only one who knows that way can teach that way. A dentist, while a medical professional, cannot teach someone to perform open-heart surgery. So it follows that someone inexperienced in the Wiccan Mysteries, regardless of any other gnosis, knowledge, and experience they may have gained, cannot teach them to anyone. To add to this, in Wicca the initiating High Priest and High Priestess are seen as representations and “substitutes, ” if you will, of the God and Goddess on this material plane. They are infused with Divine Will and Power at the time of initiation (and in all other rites), so in the realism of non-duality, it IS the God and Goddess who are making new Wiccans, not “merely” other humans. However, the HP and HPS are specifically chosen and trained to perform these duties using the structure and methods of their Tradition. A Neo-Wiccan, or anyone else who is not HP or HPS even if he/she is a Wiccan initiate, has no such training, and so cannot perform an initiation rite as the representative of the Wiccan Gods. Clearly there is great disparity between not only practice, but also belief, between those called Wiccans and Neo-Wiccans. All this points to Neo-Wicca being an outgrowth of Wicca, rather than a continuation of it, much like Buddhism was an outgrowth of Hinduism. Buddhism and Hinduism both include the ideas of Karma, Dharma, and Samsara, Yantras, etc., but they differ on the nature and application of these ideas. Buddhists do not recognize a pantheon of Gods in the way Hindus do, and also do not perform elaborate rituals. The two paths do have commonalities, but are distinct and separate belief systems. It would be improper, inaccurate, and doing a disservice to both paths if one was to say they are the same. This can also be applied to Wicca and Neo-Wicca; Wicca recognizes a specific set of Gods, while Neo-Wicca does not. Wicca includes much formality and formulary in its rituals, which is not necessarily true of Neo-Wicca. They are related practices, one springing from the other, but they are fundamentally different, and it is improper, inaccurate, and doing a disservice to both to try and say that they are the same. Of course, it’s all very well and good for these kinds of things to be said by someone who prefers Wicca to Neo-Wicca, someone who is seeking to walk the Gardnerian path. I concede that it would be far more impacting and impressive had this article or one similar been written by a Neo-Wiccan, because there’d be less risk of accusations of elitism, or discrimination, or exclusion. If, however, any Neo-Wiccan found truth in what I’ve presented here, I encourage them to write a similar piece, putting the focus on their practices, revealing the value and beauty that perhaps stems from the differences, rather than in spite of them. What are the benefits of Solitary work? How is self-study more fulfilling than working under another’s tutelage? How does the tapestry of cultures and customs enrich your practice; is the old adage, “student of many trades, master of none” inaccurate? I’m not personally looking to be convinced, I’ve found my home and my path, but that kind of piece may go a long way to strengthening other Neo-Wiccans’ sense of identity and purpose. And anyone finding peace and feeling whole on their spiritual journey is a beautiful thing, regardless of what that path may be called. I’m afraid I must admit that I am a confirmed fence-sitter when it comes to Initiation. When I began my journey, I encountered a lot of “either/or” thinking in the community. If you weren’t “properly” Initiated, you just weren’t a real Witch. Of course, at the negative extreme of this mentality, you have those who believe that only their Trad’s Initiation is valid, so by inference, even those Initiated into another Trad aren’t “real” Witches. Fortunately, such folk are few and far between, but they are out there. At the time I started, I felt (for whatever reasons) that it was going to be quite difficult for me to locate a Coven/Trad, and so my chances of being “properly Initiated” were remote. Accordingly, I immediately became hostile to those who were, for lack of a better term, pro-Initiation, and threw my pointed hat into the ring with the large community of self-Initiates. And I was quite vocal and hostile to the pro-Initiation camp online. Then, as Wyrd would have it, I did find a Trad at last, and was ultimately Initiated into that Trad. And that experience has certainly changed my opinion on Initiation, but perhaps not quite in the direction one might think. After my 1st Degree Initiation, I was quite keen to continue my education, and advance to 2nd. But my Teacher made it quite clear that, from this point onward, it would be the Goddess and the God who did most of the teaching, it would be They who would determine when I was ready for 2nd, and it would be They who would confer that Initiation. Whatever was done on this plane would simply be recognition of what was bestowed by the Gods. This certainly cast the whole concept of Initiation in a different light for me. If the Gods Themselves were going to be the instruments of my education and advancement from that point onward, certainly They could do the same for someone working Solitary! After all, who was I to say what is beyond Their abilities? Now, as time has passed, my entire concept of Wicca and Witchcraft has changed. Today, when I think of myself as Wiccan, I think of the religion, the Trad, the Coven and the community. When I think of myself as a Witch, I think of my personal spirituality, my relationship with the Divine, my destiny and calling. Therefore I am firmly of the opinion that not all Wiccans are Witches and not all Witches are Wiccan. Today I believe that many of us are called directly by the Goddess and/or the God, and Initiated by Them in Their own way and in Their own time. I also believe – and here I’ll probably draw flak – that some Initiated Wiccans have never heard the call of the Goddess or God, nor been Initiated by Them. Does that make them “less” Wiccan? Certainly not. Many very accomplished Christian priests will readily admit to never having heard the “True Calling, ” while some folk who have have never even considered being clergy. Wicca is a religion, and by definition, a community. Initiation is a symbol of acceptance of and into that community. As such, it is something that, for some people, is well worth seeking and once obtained, it should be honored and cherished. It is a mark of commitment, persistence, sacrifice and desire. It’s like getting a black belt in the martial arts. There was no great leap in skill and ability from brown belt to black, but when I won my shodan rank, all those years of work and dedication were compressed into and symbolized by that belt. I became not only a member of, but a leader in, that community. I still get a thrill when I tie that belt on. Just as I still get a thrill when I pick up my staff, the symbol, in my Trad, of 1st Degree. Conversely, I believe that “self Initiation, ” that is Initiation bestowed directly by the Gods, is just as valid and valuable, and just as dearly to be sought, as Initiation by our fellow Wiccans or Witches. In fact, I could go so far as to say that Initiation from the Gods, whether validated by the community or not, is the only “real” Initiation. I’ll wrap this up now, since this fence is getting pretty uncomfortable. I think that if one’s ultimate goal is to be a member of the Wiccan religion, then Initiation is a necessary achievement, but one which may not be readily available. If that is the case, then by all means Initiate yourself, until such time as you can find a Coven to “acknowledge” that Initiation. As long as you honestly and sincerely hear the call of the Goddess and God in your mind, heart and spirit, your self Initiation will be as binding as any other – perhaps more so! Even if you don’t “hear the call, ” go ahead and “act as if, ” – if you are really sincere, you will eventually hear the voices of the Goddess and God. If, and the other hand, you have no interest in joining Wicca, but still hear the call – well, that will be worked out between you and the Gods in Their own time! Here is the background story for the jackpot question! English folklore is a treasury of tales. Two of these are so old that they probably helped Jeoffrey Chaucer as a little boy (c. 1350) to develop his imagination to write The Canterbury Tales. Both folktales involve Witches. The one involves a Witch getting melted by water, which was incorporated into The Wizard of Oz. The second actually involves a Witch getting EATEN, by a little boy! Which Witch is she? For the jackpot, name that Witch! Tick-tick-tick- time’s up! Did you win? Check* at the end of this article! I really did it this time! Here I am supposed to be a writer, and I make my entry as a game show host! Am I guilty of foolishness, rightly convicted to rejection? No! I was guilty, but I CHOOSE to make myself innocent through the power of Witchcraft! As Witches, we can choose to do that, contrary to what Christians say. They say that the human condition is a coin which has the following two sides: 1) no matter what we ever do, never can we by our powers alone redeem our sins, and 2) no matter what we did, our souls can be saved, if we accept the love of God. I say that whatever I did is irrelevant with respect to my status now, because I can choose to do this: to develop and use my power to magically transform my nature from weakness to strength, including in the moral sense from guilt to innocence. According to Christians, we are doomed to be sinners by our powerless nature, whereas we can exercise our power of choice to magically empower ourselves. I agree with Christians up to this point: human nature strongly tends to be evil. The ideas of many prominent philosophers and writers over the ages were summarized by Dr. Sigmund Freud, in this statement in his book Civilization and Its Discontents: “Man is a savage beast”. First of all, man is an animal; it is impossible for any animal to ‘harm none’. No animal can make its own nutrients, as do plants in cooperation with the sun. All animals are in competition with one another to kill other life in order to sustain their own lives. Even so-called harmless hares are not, because they compete to kill plants to survive. Plants, although different from animals, are forms of life nonetheless. In us, this harmfulness is especially pronounced through the powers of our human brains. The more powerful, the more dangerous, and this is especially important to us, empowered through choosing Witchcraft! We have a moral obligation to the world to abide 100% under ALL circumstances to the ideal of the Wiccan Rede, meaning always to avoid harming to the utmost limits of our capacities. The vileness of our species is not limited to adults. In fact, it often is more pronounced in children. Many people love to sentimentally depict little children as little angels. Is that ever a joke! Generally, it is lucky that they don’t have the power coming with being big. In order to keep them under control, sometimes you must play the part of the wicked Witch of the West. How fascinating to note that Margaret Hamilton, who played her, started out teaching kindergarten! I bet she got practice for her most famous role with the little devils, nipping those horns at the buds. Young children have not developed their consciences enough to where they can nip those points themselves. Never do I have the right, being just human myself, to execute judgment on another person, “to play God, ” as they say. I think that we are okay in working a spell to petition our grievances about others, and ourselves too, to the Higher Powers, but for their judgment, not ours! The domain of the REAL Witch always has been healing, never malpractice on perceived enemies. If we do, then we disgrace our calling no less than Nazi doctors. So that I am not accused of advocating standards that I myself could not keep, I have experienced such temptations, and for a while, I did yield to them. I have had quite some stresses over the past twenty-two years, and have blamed certain perceived enemies and a side of myself, and I have hated them, and them in me, for it. An important lesson in psychology is that, when I point my finger at others, my four remaining ones are pointing back at me. That is, the things I hate in others probably also are things that I hate in myself. I have yielded to temptation in starting to hex in order to destroy those enemies and that hated side of myself. I am thankful that I have since grown into a real Witch, one strong enough to stop myself from playing judge. I have not forgotten, but now I leave the matter to Divine Judgment regarding others and myself. We become real Witches when we realize that we do not have the right to destroy. The Wiccan Rede is not an afterthought; it is at the very heart of real Witchcraft. Besides rationalizing, unconsciously lying, how else do grown-ups remedy guilt? Christians believe that, although we all are doomed to be sinners, we can become saved sinners. As a Witch, I believe that I am not doomed to stay wicked, no matter what I may have done. I have magical powers to develop, and, beyond regenerating things physically, among the most noble uses of these powers is rehabilitating myself morally, so that I can look myself in the mirror and have self-respect without self-deception. One of the worst side effects of Christianity is to deny rehabilitation as a serious possibility. Even though Jesus taught us to forgive one another, in practice Christian society has become unforgiving. Christians have corrupted the premise that we are morally powerless into a prejudice that people do not have the power to rehabilitate. There is an attitude of, “Once a crook, always one, ” very much in effect everywhere. In fact, all it takes to be off the list of candidates is having changed jobs a lot when you were younger, even being unemployed for more than six months! How merciful! People are judged by their resumes, what they have done in the past, without regard for what they may have made of themselves through learning from experience. I define Error as the best teacher. Show me the person who never made errors and I will show you someone who has not learned much, and is among my prime suspects for the fool! Christians say we are sinners for being imperfect, and I say no one gets wise by being perfect. They call them sinners, but I call a few of them sages, the real Witches. This topic of real Witches as ones exercising their magical powers to perfect their imperfections leads into another essential point. Beginners, I do suspect, see Witchcraft as a means to bend the surrounding world to their wills. However, much of the Craft, and often the most effective working, is directed toward changing the inner reality of the world made largely out of our own perceptions. Let us embark on an active way of knowing what makes the Witch a Witch. Why not start this in a light vein, or may I say, a light paw? In my poem, Meeeow! posted on Witchvox, the speaker, a Witch, declares, “No matter what you think I am, I know I am the cat, for how my light paws go.” The witch has changed her very being, from human to feline, by most thoroughly playing the part of the cat. This is not much a matter of the objective truth of what the Witch is, but much more of the subjective reality of how she is perceived to be. As far as all the other cats experience her, “I am one too, to all the other cats, for what I do.” Her acts determine their and our perceptions, which determine the reality of the subjective world, in which we all also live. In fact, more of what we know as the world arises from experiencing our own, personal, inner reality than from experiencing whatever the truths of the surrounding, outside world may be. This brings to mind, The Secret Life of Walter Mitty, a well-known short story by James Thurber. The author described the world in which his character lived, consisting of a reality only vaguely corresponding to the truth of the outer world, largely made by Mr. Mitty himself out of his own perceptions. We all could be a.k.a. Walter Mitty, because we all live in our private worlds made largely out of the reality of our own unique perceptions. We can make sense out of seemingly nonsensical behavior, if we understand the reality of perceptions underlying it. I have come to value the redeeming graces of the cat – magical, graceful, redeemed by beauty – more than ever before, because now dogs no longer scare them out of my field of experience. Canine-oriented parents raised me, and until three years ago, always I had dogs, mostly more than one at a time. Up until the end of 2009, I used to walk a pack of four dogs, a feat for which I was well known but hardly always lauded. Whatever other people might have thought I was, to my dogs I was one of them, “top dog” of the pack. It was not a matter of the truth of what I was, but rather the reality of what I was perceived to be. The truth versus the reality – that is the distinction at the heart of understanding the working of magic and the nature of a Witch. Suppose that you are discontent with your limited material possessions. If you are a typical disciple of the Craft, then you will work some form of spell for prosperity or better employment. A better working, however, would treat the discontent. Why? Because really the problem is much more that your discontent is causing you to perceive your material possessions as inadequate, rather than that your material possessions are truly inadequate and cause you to feel discontent. The following maxim makes quite some sense: treasure what you have and you have treasure. Objectively, you may have little, but if you are satisfied with it, then you are subjectively richer than someone among the richest, yet who is not satisfied and always wants more. Therefore, it is better to work the magic between your ears, turning your discontented mind into a contented one. Once upon a time, a boy was born with very sensitive eyes. Every time he went outside, he would feel nearly blinded by the daylight, which was very painful to his eyes. He decided to invoke the god Hyperion, to beg his cooperation in a spell to dull the intensity of sunshine when he was outside. The spelled worked and he gave his utmost gratitude to “The One Above”. Really though, the sunshine was just as bright as ever. Hyperion knew that the trees and all other living things welcomed the brightness of sunshine after winter, and that their survival depended on it. The spell was granted between the boy’s ears, so that his mind would better tolerate the sunshine. But the result was exactly the same as far as the boy could tell, and this way both he and the world were left contented. As I have written, the distinction between the truth and the reality is at the heart of understanding the working of magic and the nature of a Witch. In terms of the example I just gave, the truth of the brightness of sunshine stayed the same, but the reality of the world as the boy perceived it changed, and this clearly was the easier, far kinder magical solution. What does this tell us about the nature of the Witch? The competent Witch has the wisdom and the ethics to choose the better solution. It is forgotten that the name ‘Witch’ shares its roots with the word ‘wisdom’. The real Witch discerns that, at least sometimes, the better solution may not even be the magical one, and that the moral solution typically is the more efficient one as well. I may be ready to give a tentative definition of the Witch: A Witch is a person with a deep knowledge of the objective truths and the subjective realities of the world, acquired through CHOOSING to interact, not only physically, but also metaphysically, that is, magically, with the things of the world. Why would the real Witch sometimes not choose a magical solution? Consider the example of a student who wants to be a doctor, but is not making the grades. Should she work a spell to do so? She could, but very few medical students have worked spells to get into and through school. When I was in graduate school working toward an M.A. in psychology, my academic advisor asked me how many hours of sleep I got each night. I answered eight. Dr. Benjamin Luck told me, “If you ever go on for your doctorate, you will have to learn to get by on less than eight hours of sleep. When I was working on mine, I was lucky if I got five.” His advice also would make a fine solution for the would-be medical student in my example. Diligence sometimes beats spells in solving problems! On the other hand, there are times when one type of magic may be the best solution after all. All the diligence may not work without the prerequisite aptitude. For instance, medical students are very diligent, but doctors also have I.Q.s averaging about 130, in the top 2% of the population. If someone’s intelligence is only average, the M.D. is most likely an unrealistic goal. In similar cases, the magical transformation between the ears, meaning changing perception, often is the best solution. I have heard many young adults who like animals say they want to be veterinarians. The D.V.M. often is even harder than the M.D. to accomplish. It is obvious that most of these young people will not meet the requirements. Why not try going the vet. tech. route? That may not be so easy either, but usually it is much more realistic! They need to work the magic of turning their fantasies into realistic goals. As I wrote before, this is a very real magic. It is not necessary to be a “big shot” in order to feel fulfilled; this feeling of fulfillment, rather than egotistical pride, is the goal of much worthwhile magic. Is it possible to raise I.Q. magically? Yours yes, mine no! I am hopeless! But are you sure you want to be a genius? A quote of Sir Henry Maximilian Beerhohm advises us, “I have known no man of genius who had not to pay, in some affliction or defect, either physical or spiritual, for what the gods had given him.” He himself was an ingenious writer, so I bet he knew what he was talking about. Before you sign your name in the blood of magical commitment, be sure to read the fine print! This leads to a common misunderstanding of the nature of Witchcraft, the idea that magic is a way to make major changes with minimal investment. It is the misconception that, by using a few affordable supplies, you can bend the whole world to grant your wishes. This is a lottery-ticket type of fantasy. All Witches should remember one of the most essential laws ever: the Law of Conservation. Although it is taught in physics, it is equally essential to metaphysics, and applies every bit as much here and now as it does in a chemistry lab. In lay terms its essential meaning is that we cannot get something for nothing. We should only expect to get out of the world, what we put into it. Yes, the Witch accepts that the world has enough degrees of freedom to allow magical transformations to be, but still, no real Witch is foolish enough to expect extraordinary magic, that which bends the whole world, without extraordinary discipline. Every beginner would love to have the powers of a Witch Doctor. They forget that Witch Doctors typically have endured prerequisite ordeals, which could easily have been fatal, in order to acquire their world-bending powers. Yes, some problems do require Herculean power to solve, but perhaps most magical solutions involve the mental magic of changing our perceived reality, much easier on us and, as I have stated, probably fairer to the surrounding world. The choice is yours as the aspiring Witch. Neither choice is inherently better. The easier way, although maybe not heroic, often is more realistic, and life is, after all, hard enough without making it harder. On the other hand, the harder way, although earned at great cost, may well be heroic, and there is a satisfaction in reaching “the seemingly unreachable star” not to be gained any other way. Novice Witch, CHOOSE your values and pursue your way! The verb ‘to choose’ is highlighted because our strong endorsement of choosing is largely what sets us apart from Christians. They believe none of us has the choice to transcend our sinful nature, just to let it be redeemed through accepting Divine Love. Let us turn our attention to the Witch defined in terms of being someone who chooses to believe in a certain way. I do not think one can choose to be an atheist and stay consistent with being a Witch. There is a religious component that naturally goes together with the Craft, with the practice and the theology being like two sides of one coin. Here is a tentative, expanded version of my definition: A Witch is a person with a deep knowledge of the objective truths and the subjective realities of the world, acquired through CHOOSING to interact, not only physically, but also metaphysically, that is, magically, with the things of the world. An essential part of the subjective reality of the Witch arises from CHOOSING to revere Higher Powers operating in nature, and to realize the divine, magical potentials in oneself. We do well in asking, does the Witch need to be defined in any theological context at all? In the Oxford definition, the Devil is implied; the word ‘evil’ is contained in ‘Devil’, the personification of evil. In my tentative definition, I have referred to Higher Powers and divine potentials. Can we find a new, secular definition of Witch, as illustrated by the series Bewitched? The Witches there, I am fairly sure, never were portrayed as practicing a religion, nor, as far as I know, were there ever any allusions made to religion. Nonetheless, at a subliminal level, it was the overturning of the conservative, tyrannical stance toward being a Witch, and more generally being somehow different, which gave that series its charm. In fact, the story-line of the series would have failed as comedy without religion subliminally supporting it. It was comical mainly because of Darrin playing nearly a parody of a minister saying, thou shalt not do it, while Samantha always ended up wiggling her nose anyway. The main point was that she did it without tragic results, without getting struck by lightning for doing it. She could be seen as practicing a religion of liberalism, obviously without the scripts explicitly making this point. Her behavior can be seen as reflecting an underlying, liberal philosophy of seeing the God of Genesis as Mr. Liberal, with the right to CHOOSE as his first and finest gift to her and to all of us. Therefore, I do not think that Witches as magically empowered persons can be divorced from the deity empowering them. The verb ‘to CHOOSE’ is in caps throughout for an essential reason. All people, when they say that they do some action, really mean that they choose to do it, but this fact is kept implicit, and therefore done nearly automatically and just semiconsciously. The distinction of the Witch is making the choice explicitly, choosing deliberately. By doing so, she considerably extends her power to choose, and indirectly to change her inner reality and the outside world as well. By making herself aware that she is choosing to do anything, not limited to magic, she gains more and more control over her faculty of choice and more refinement in exercising this power to choose. No, I am not guilty of sexism for using the feminine pronoun. Witchcraft continues to be associated with femininity, but males too have the feminine inner reality of their anima, according to the great psychiatrist Carl Gustav Jung. Have I been guilty of wasting your time with this article? If so, I apologize. We can assume that I think it was worth writing, but regarding whether or not it was worth your reading, only you are smart enough to be the judge! I accept your judgment! *Are you a winner as well? The answer to the QUESTION is: The SandWich! P.S. If you are a winner, congratulations! Just to let you know, at last I have picked a magical name: The SandWich. I find it in good taste. I hope you do too!